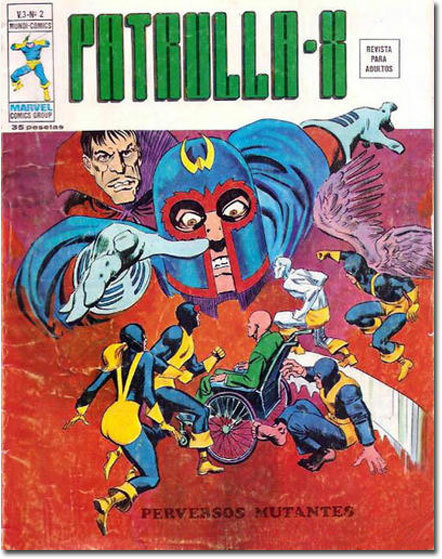 Of course, the early overseas editions of Marvel comics occasionally suffered from...shall we say...some odd interpretations on their covers. As exhibit A, I give you: Los 4 Fantásticos! 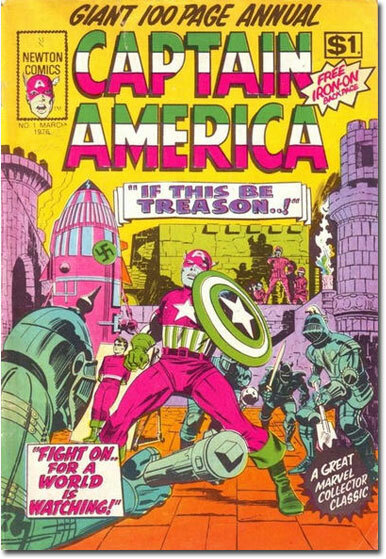 But even when comic companies publish licensed Marvel Comics and use the original cover art, things sometimes get a little...colorful. 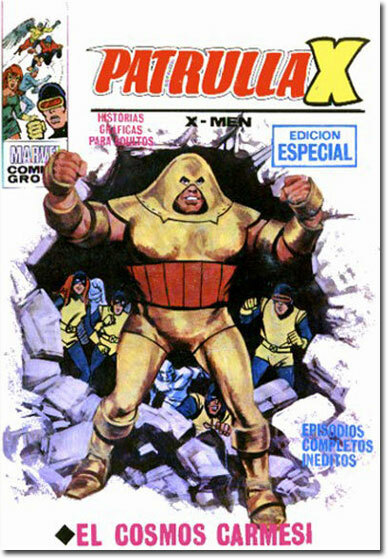 May I present a Technicolor look at Marvel's Merry Mutants as seen in Spain: Los Weirdly-Colored Hijos del Átomo! 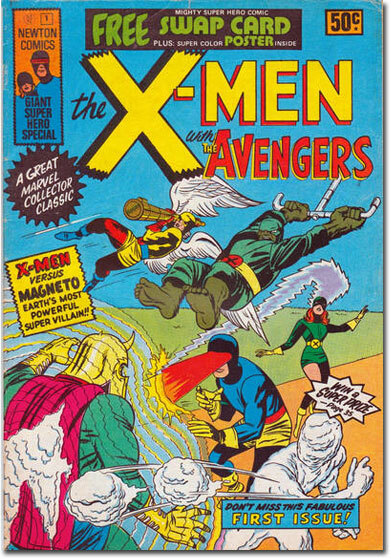 For instance, here the X-Men face off against the menace of...The Blue Magneto! 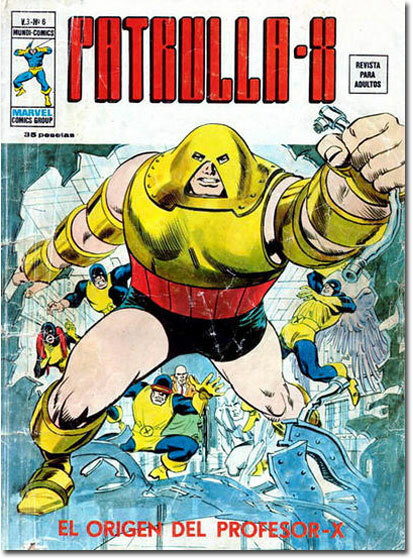 And the daisy-colored peril of Yellow Juggernaut! Not to mention Red Polaris! Can the X-Men survive The Christmas Sentinels? They'd better watch out! And this is either The Red Beast or Wolverine with a Suntan! SPF, Logan! SPF! But none of this can prepare you for the Sensational Character Find of 1980, Caucasian Blonde Storm! She's the mutant superhero even Nigel Farage can love! Yes, Caucasian Blonde Storm! 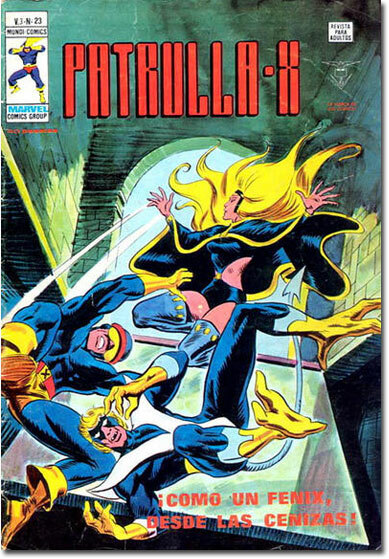 And her team-mate, Caucasian Blonde Nightcrawler! And their team-mate, Emerald Colossus! 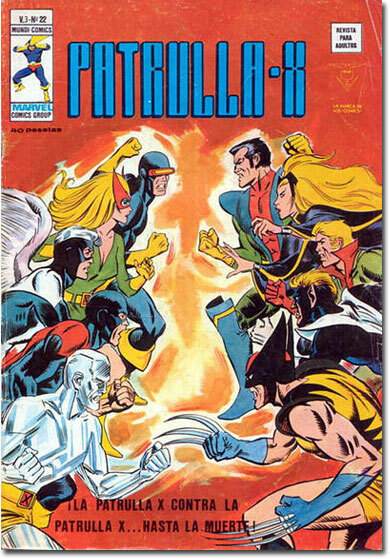 And they're all fighting against Blonde Jean Grey! Okay, okay, I'll admit this one's kinda pushing the joke. But she's Jean Blonde! 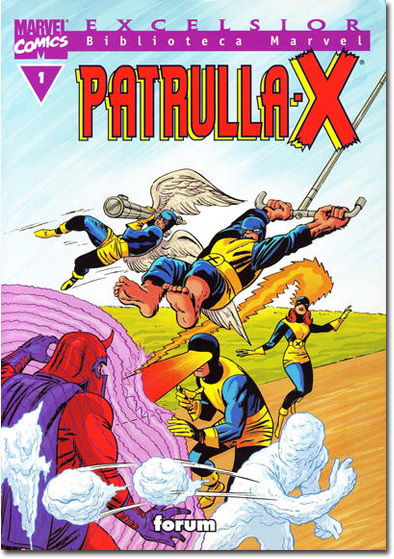 Yes, yes, yes, we laff and laff at Patrulla-X's weirdly colored X-Men. 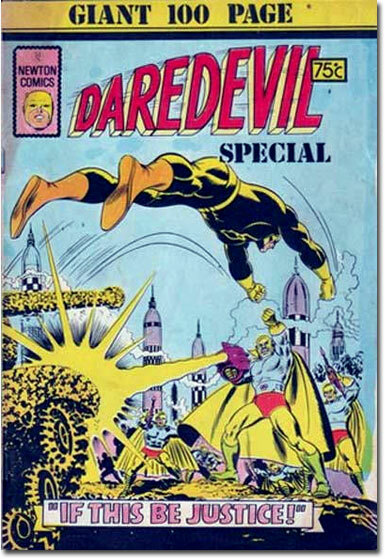 Still, it's not quite as bad a stretch as what Australia's Newton Comics did to the X-Men. 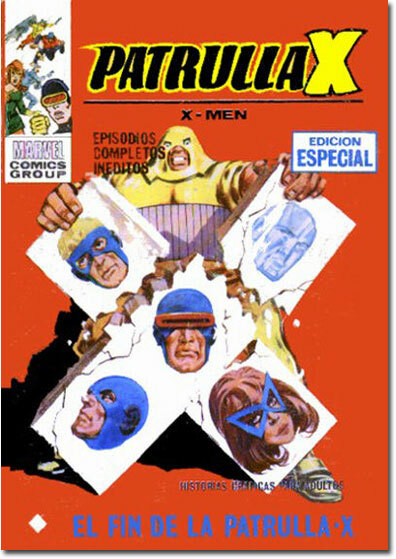 Not only is Magneto color-coded by a six year old, but the original yellow-and-blue X-Men costumes have been recolored to try to look like their post-X-Men #39 new costumes! And not only what the Sam Scratch is up with the Beast's skin color, but is that monkey bar really hanging from the Avengers logo?!? 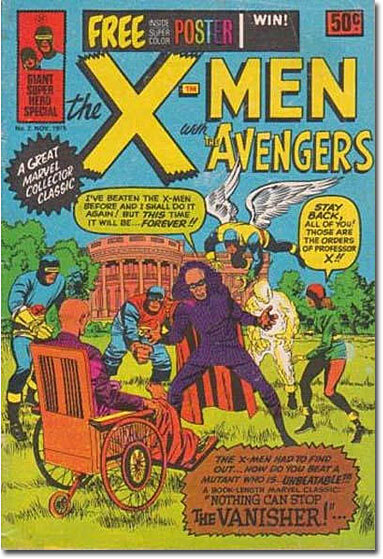 Here's an only slightly better attempt to match the original X-Men with their redesigned costumes. Makes you long for that free inside super color poster, doesn't it? Yes, Newton Comics: home of Black Light Captain America! Whoops. 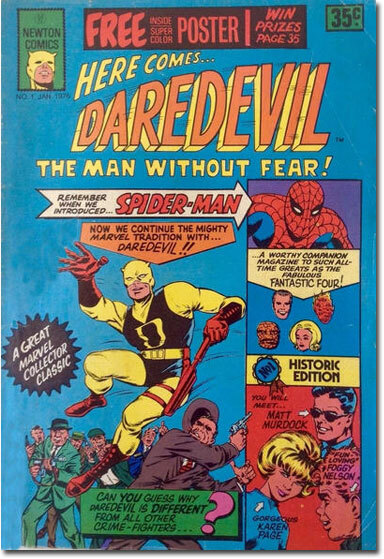 Well, here's Yellow Daredevil! There's a lesson in all of this, and that lesson is: foreign comics sometimes get the coloring wrong, and we should laugh at them for that! Though, to be fair, Patrulla-X did eventually come out in a correctly colored version. Except they set the whole scene on a dirt road somewhere outside Hooterville. 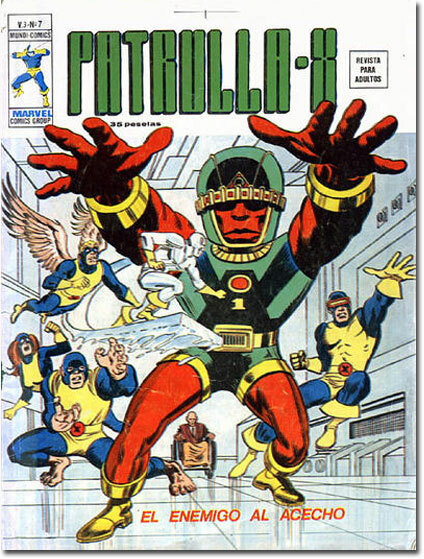 Still, they even colored Samuel L. Jackson as a white man. I have a whole new appreciation for die Gruppe X.
John: Yep! 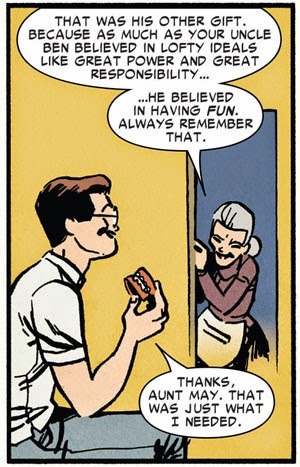 That was the (extremely little) joke. 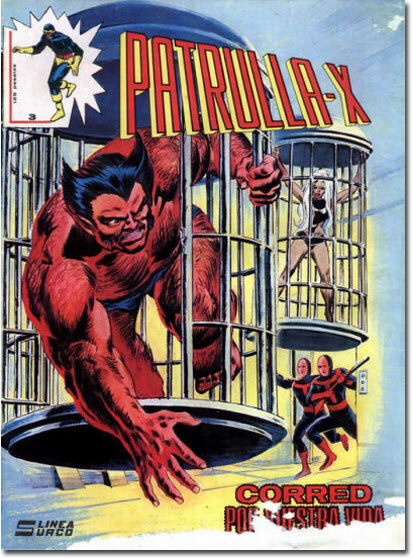 Myself, I'm rather partial to Summer Outfit Wolverine (Patrulla X #22). 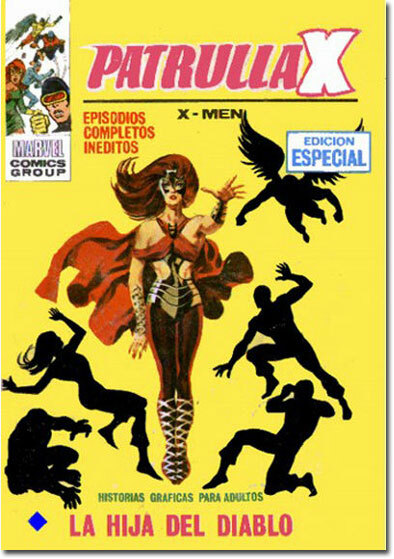 And I suppose "Perversos Mutantes" is the name of the sadly shelved X-Men movie to be directed by Jess Franco. That said, I love those pulp-style covers. 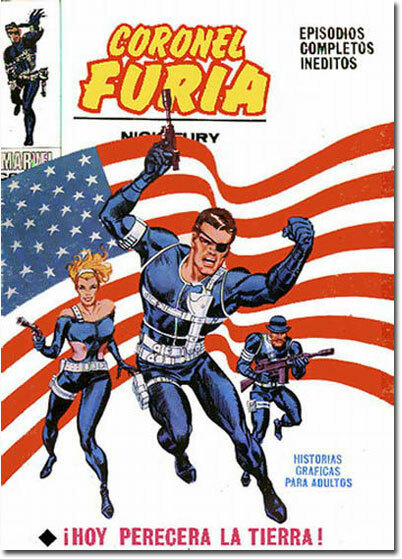 Were they done exclusively for those Spanish editions or taken from some US reprints I've never seen? You're not allowed to read it, Bully. Didn't you see the little box that says "Revista para Adultos"? ¡No es para bambinos (o los pequeños toros)! 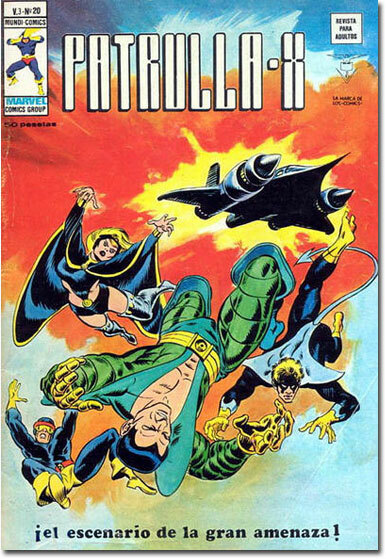 The French reprints of Marvel/DC comics also had some great painted covers, in Strange and such. I would like to see a roundup of weird hero name translations. 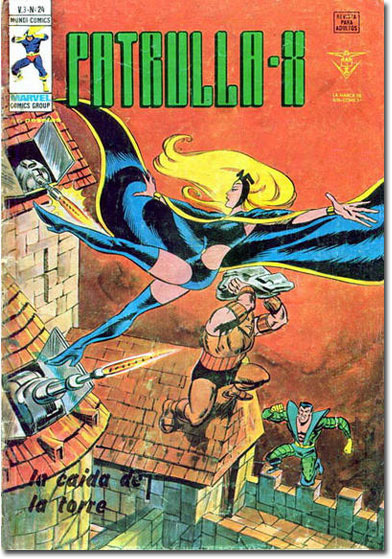 My submission would be from the atrocious/lovable '60s Hebrew reprint anthology Booky (named after Buck Rogers...), featuring the mighty Norse god of thunder - Sparky! !